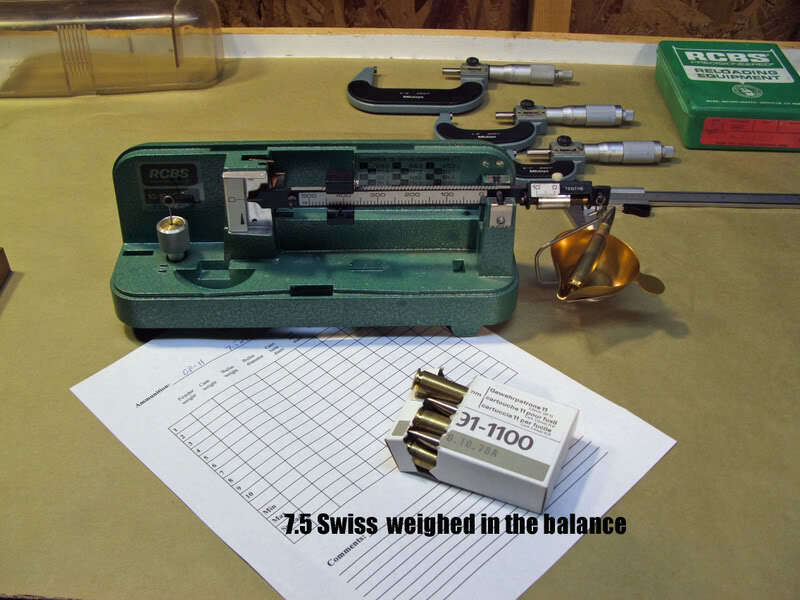 GP-11 Swiss 7.5mm, weighed in the balance. room a bit bigger, instantly improving performance. In almost every case it worked. it functions smoothly with the unusual straight pull K-31 action. Central vernior calipers, some other assorted goodies, and a large cup of coffee. in a big cup, and we are good to go. core is solid lead with no voids, and seems very well bonded to the jacket. Several bullets were sacrificed to the cutting wheel (monkey curiosity strikes again!). at had wax about .012”thick and .030” wide. This wax seal was easily removed with nothing more than a rough towel and a bit of pressure. 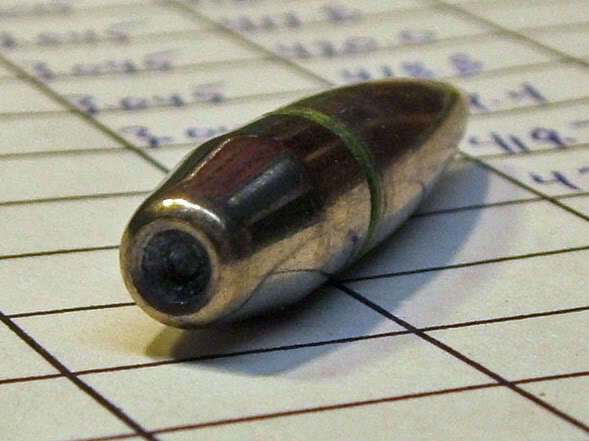 a very firm and uniform crimping of the case into the bullet cannelure. Many precision shooters swear by a crimp to encourage consistent powder burn. handloads in the K-31 surfaced (tough extraction)? chamber? This might help account for the phenomenal accuracy of the cartridge. Friends and neighbors, why would someone say this is going to be boring? to the non-uniform wax sealer. Weight spread was 415.5 grains to 420.2 grains. 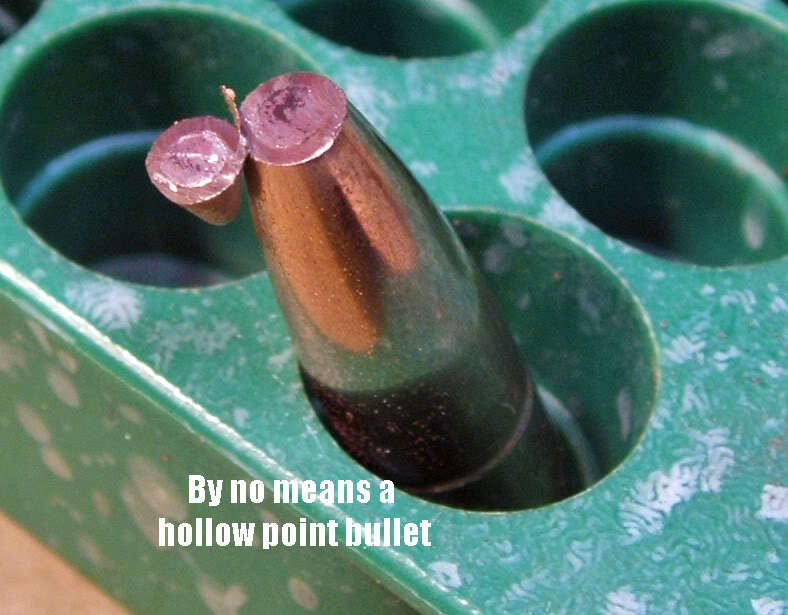 another 0.5 grains in bullet variations. The rest seems to be the wax. Over all length measurements were the most boring of all. It measured 3.045” Exactly. of it! Almost a thousandth of an inch! Those crazy drunken Swiss! 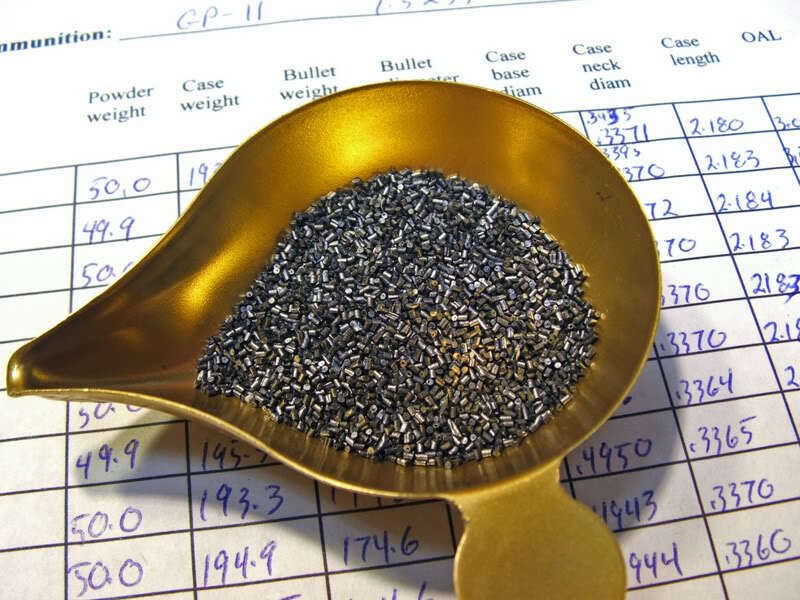 ammunition standards, and certainly not bad at all by commercial standards. There was almost zero variation found in neck diameter. They were round. found no wild fliers, but was spread evenly across the range. that very heavy crimp set deep into the cannelure. coating 'look' that IMR stick powders have. 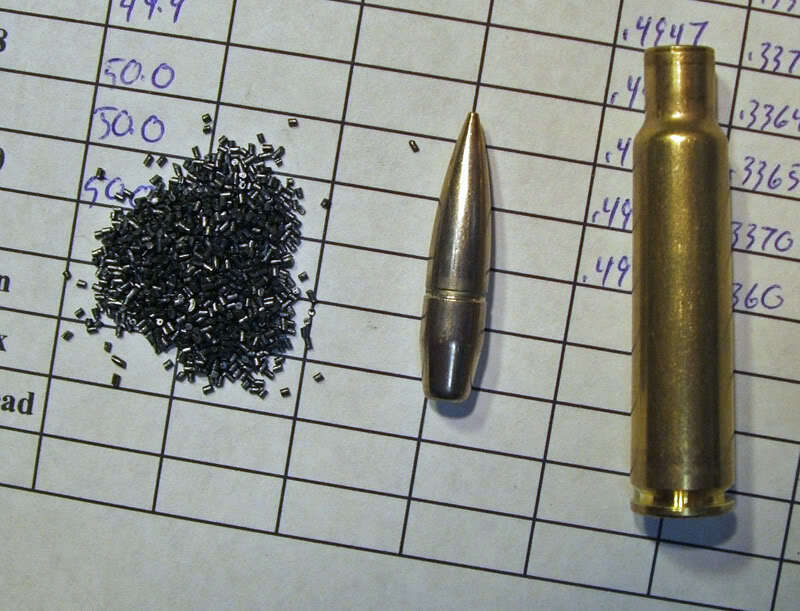 Powder charges weighed in from 49.9 grains all the way to a whopping 50.1 grains. A 0.2 grain variation. You graph it, I’m going to take a nap. Once pulled down, cases were weighed. They ranged from 193.2 grains to 195.5 grains. 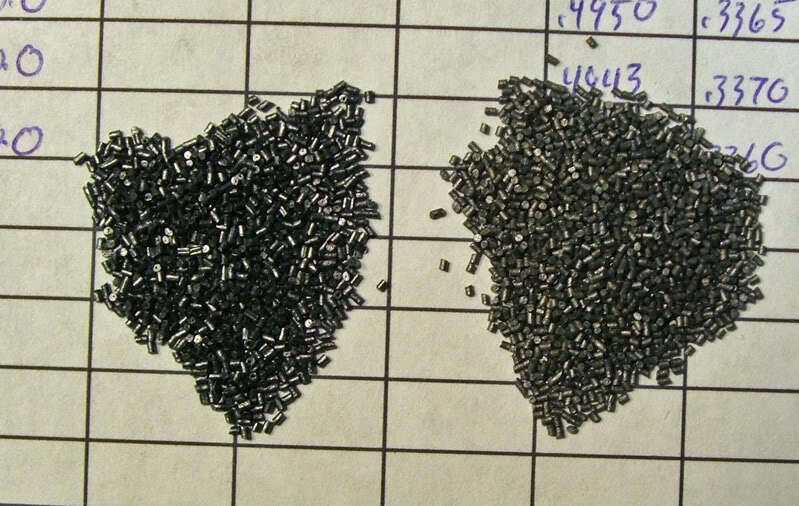 This is a variation of 2.2 grains, and the largest spread of any single component. while leaving the inside of the case flat? in search of data for our readers! ), an extremely uniform primer pocket was found. rather than punched. Stunning quality and meticulousness for a military round! with a strong boat tail. Weights ranged from 174.3 to 174.8 grains, a 0.5 grain spread. 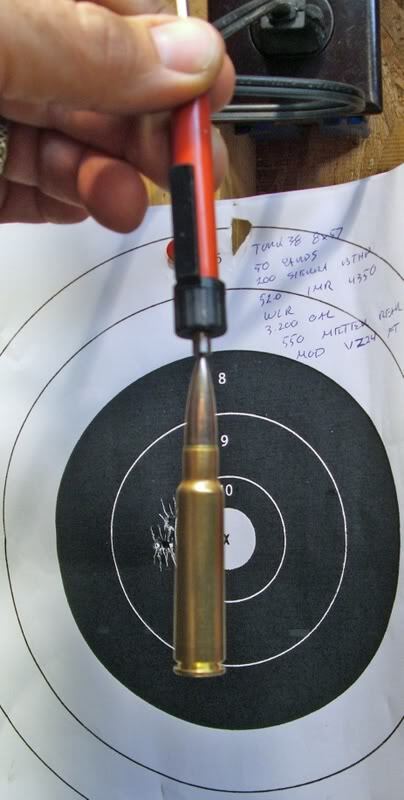 .3076” to .3080”, and were perfectly round. No variation at all in diameter was found. Reinforces the findings by many of us who shoot the GP 11 regularly via a variety of Swiss Rifles. In my opinion, it is even better quality than most factory loaded ammunition. Since the original posting of this article is long gone, the statement about the wax ring has an answer. The wax ring is vaporized when the cartridge is fired and coats the bore. This will do several things. 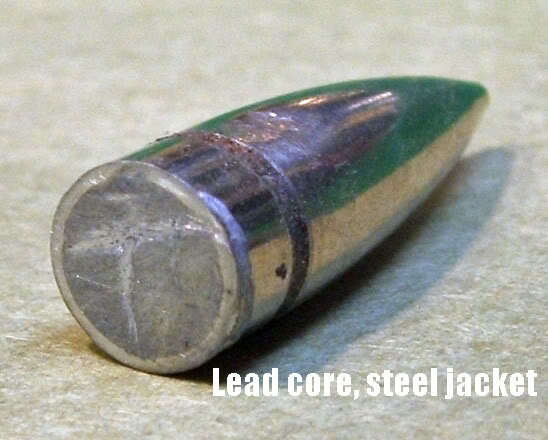 It lubes the bore to help the steel jacketed bullet traverse the rifles bore with less friction. It keeps the powder fouling softer than a dry bore. This helps reduce corrosion. The grease aids in the cleaning the bore after firing. Since fired cases are dry to the touch once fired the wax may not help with extraction. It you shoot the cartridge with a piece of cardboard closely off to one side of the muzzle,there is wax on the cardboard. 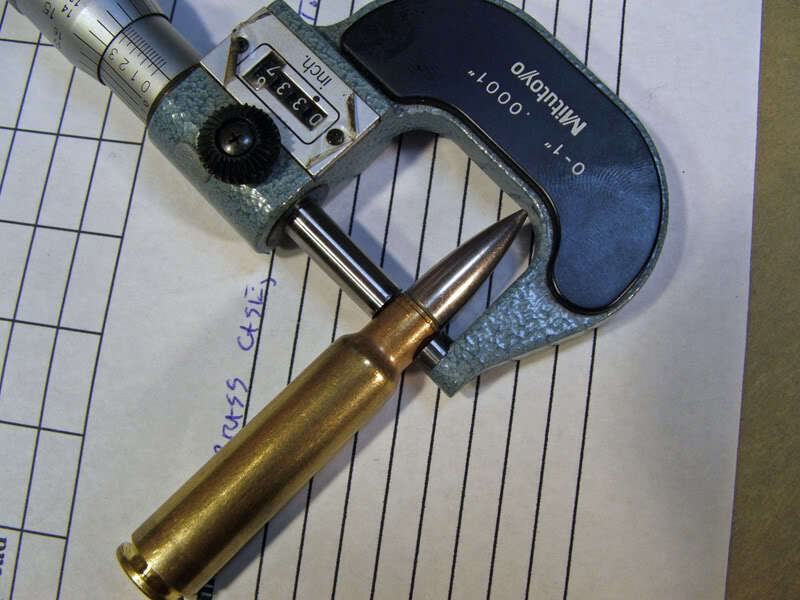 On the old SRF we did an experiment mixing the wax and loading the case with a similar weight and type match bullet. A wax "ring" was made by using a heated wax mix and a small needle syringe. It did work, but unneeded due to our bullet jacket material. Plus there was so much surplus 7.5 GP11 ammo for sale at the time it was time consuming. 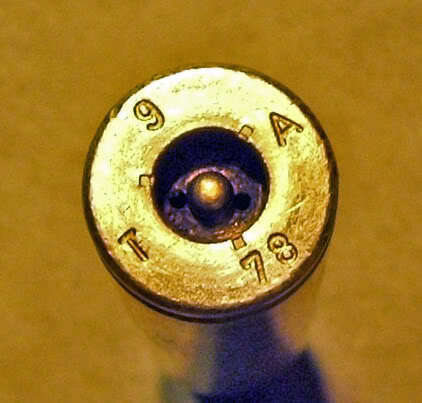 I know of no other ammo loaded for a military that is as consistent or of such a high quality as Swiss GP11. I have not shot,nor know anyone who has shot the "new" made GP11 replacement ammo in 7.5 Swiss.